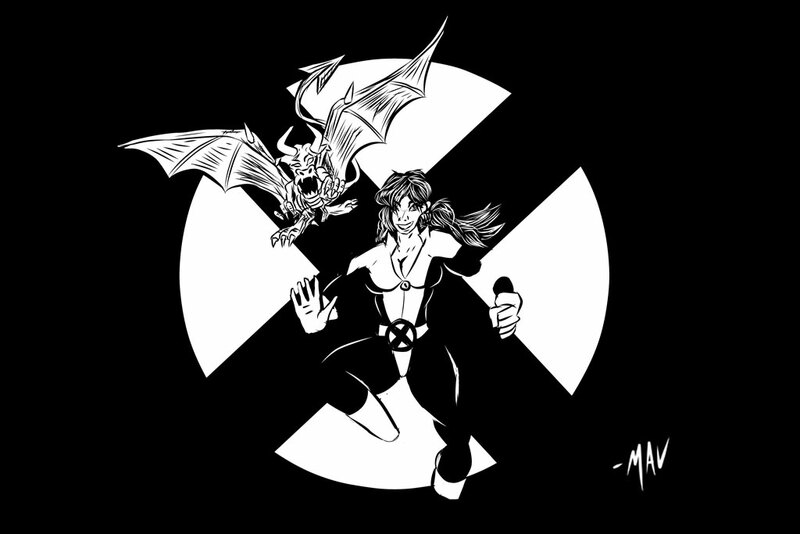 Continuing my convention sketch series of X-men from Wizard World Philadelphia, here’s one I did of Kitty Pryde and Lockheed. I tried to do something a little different this time and draw it landscape instead of portrait style. I don’t know that I like that.